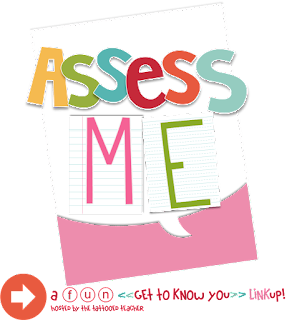 I'm linking up with Rachel from The Tattooed Teacher today for week 2 of her fun little assessment linky! 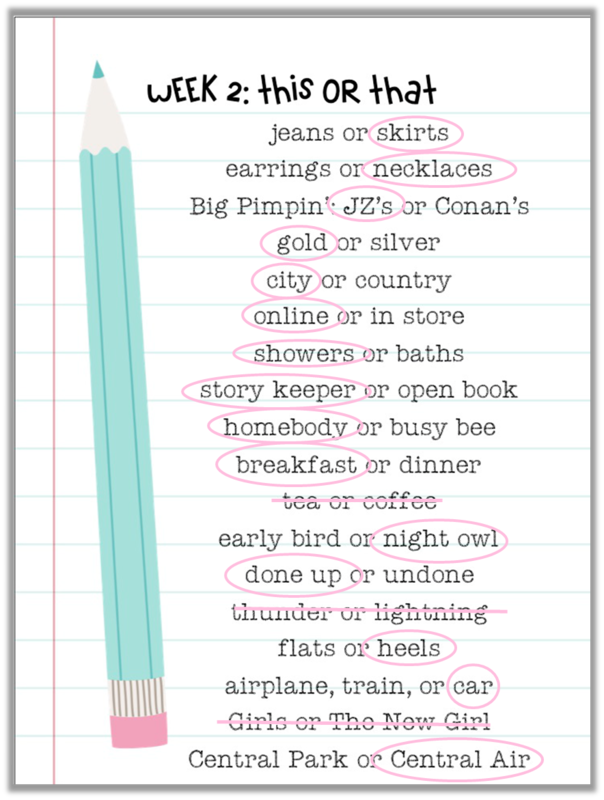 This week is all about THIS or THAT. Skirts - all the way! Would actually be dresses, but that wasn't a choice. Necklaces - statement pieces. Can you say Betsy Pittard? JZ - original is always the best. Gold - you've seen my blog right? Everything needs a little gold love! Showers - who has time to take a bath these days?? Story Keeper - I'm definitely not an open book unless you know me very, very well. Homebody - introvert. enough said. Neither - I'm not a fan of storms. I just don't find them relaxing. Boo to them both! Heels - I just love the way I feel in heels. Again, I wish I had a job where I could wear them every day! Neither - I have no idea what this is about. It appears to be TV shows. They're not on Bravo, so...?? Loved your answers! People laugh that I always wear heels to school! I just love them and feel more comfortable since I am only 5 foot 3. I know my days are numbered so I enjoy the heels while I can!! Glad I wasn't the only one not knowing the two tv shows!! Homebody as well. Blogging as an introvert/story keeper definitely poses its challenges for me. However, being a part of this community of amazing educators sure does help! We can find lots of support and encouragement! Loved reading your answers! Totally agree with you on the shower, weather, and central air bit. I am not a huge fan of creepy crawlers or anything that flies. Please, please tell me you are going to continue your genre studies blog?? ?